In the old days, a guy working for a company driving its vehicle around the state could pretty much go anywhere he wanted and basically “steal time” from his employer. So, he’s supposed to deliver a widget from one town to the next, but he ends up visiting his Aunt Bea on the way… on company time. But does the company know this? No. The guy tells them he got caught in traffic and they believe him. Companies today, though, have a way of checking where their employees’ vehicles are– at all times. As such, it’s really hard for an employee to steal company time nowadays… thanks to GPS tracking. 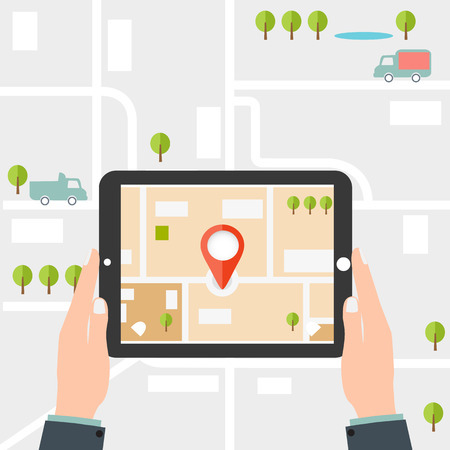 By installing and using GPS tracking devices on your company’s fleet of vehicles, you get the knowledge of where they are at all times and that data ultimately helps you better manage your company. You’ll even save money, too! Thanks to the software GPS uses, you’ll get insight into fuel efficiency, safety, and route information that’ll help you better plan your employee’s trips. Say, for example, the GPS data shows one vehicle uses Route 55 to get from Point A to Point B, and it takes 2 hours and 15 gallons of gas. But a similar vehicle uses Route 75 for a similar trip but it only takes an hour and 45 minutes and uses 12 gallons of gas. Knowing this, your company can adjust routes to ultimately save both time and money in the long run. As a boss, you can’t be everywhere at all times, but you’d like to be. Utilizing GPS technology, it’s like you’re riding alongside your employees virtually– and making sure they’re operating their vehicles safely, responsibly, and efficiently. Today’s GPS systems do a variety of tasks: locate vehicles, set up routes, give directions to assigned destinations, provide vehicle diagnostic information and maintenance tracking, and more. Did you know these systems can have hardware fitted with sensors that’ll even keep track of times a driver harshly brakes or accelerates? Or they’ll report on harsh turning/cornering? If you catch someone doing those actions all-too-often, you can reprimand them for safety’s sake. Companies want drivers who drive safely and efficiently. They also care about managing their vehicles’ overall “health” over time so they’ll last quite a while. NYCONN can set your fleet of vehicles up with GPS tracking so you’ll be able to view locations of all vehicles, click-to-locate for on-demand mapping or periodic location reporting, get emails indicating over-speed violations, etc. Serving New York, Connecticut and beyond, NYCONN can be reached by calling 800-783-5004.